Dive into the documentation and learn how to develop integrations for iAdvize users or customize your integration for your own use via hundreds of different APIs and more. Log in to a platform dedicated to developers. It's probably the easiest way for you to get things done. Are you ready? Let’s submit apps! Sign up and become part of the iAdvize developer community! The iAdvize's brand new Developer Platform will be available soon. To subscribe to the Early access program click on "Start to Build" and fill the form. Build apps to enhance the customer experience with iAdvize. Connect with CRM, BI tools, Analytics tools, Product feeds and more! Publish your apps in the blink of an eye on the iAdvize Marketplace to either amaze more than 500 customers or build integrations for your own use! Make sure your apps are a real strategic asset for iAdvize users: whether they enhance the way agents use the discussion panel or optimize the way customers monitor their performance. Create a connector to browse your product catalog directly from the iAdvize Console panel. 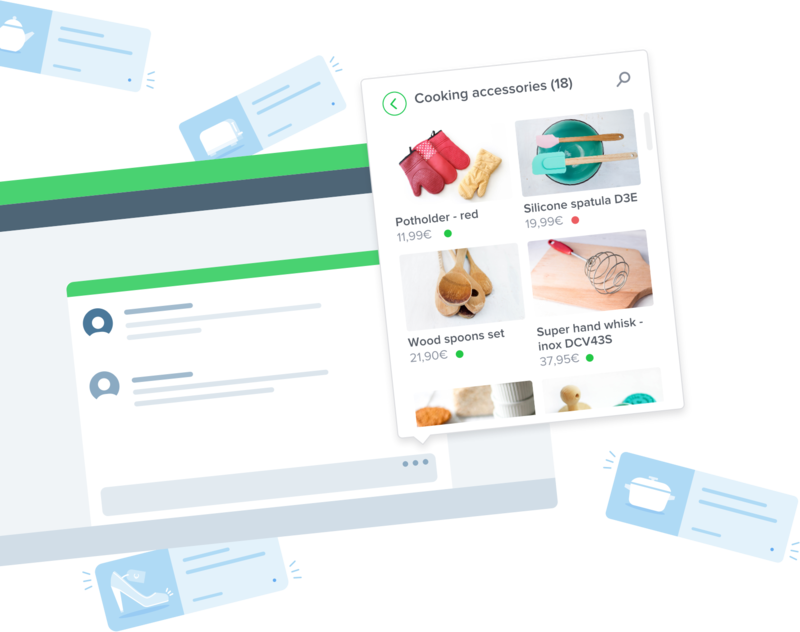 Search by categories or keywords and send products recommendations to visitors at a glance. Use our REST API ressources to receive custom reports based on your needs. Create Zendesk tickets from the iAdvize discussion panel and get notified about your customer' existing tickets. Get the most out of your Salesforce CRM with the Salesforce App for iAdvize. Access CRM profile, create cases, and map custom information from the iAdvize discussion panel.